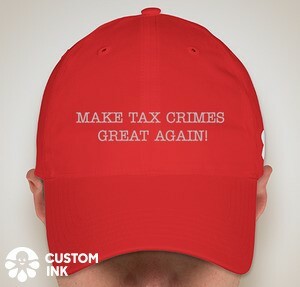 I offer readers a spreadsheet (see instructions for download at end of this page) in which I compile and analyze certain data regarding the Government's charges and convictions in the offshore account initiative and results of the DOJ Swiss Bank Program. I caveat the use of this spreadsheet in that the information is incomplete and perhaps even wrong in some of the data and analyses. I request that my readers to email me at jack@tjtaxlaw.com to advise of any information needed to make it more complete and accurate. As I am advised or have my own updates, I will post new versions of the spreadsheet. The basic data is in the spreadsheets with the tabs titled "Indictment Data Table" and "Financial Institution Data Table." Both tables are Excel tables that permit various database type functions. You can sort by the information in each column. In addition, you can display only limited subsets of the information in each column. For example, you can filter to see only the enablers that have been indicated or can filter based on the enablers banks. Also, I have some statistical analyses in the other spreadsheets with "Stats" tabs. I use various Excel formulas to analyze the data in the two data tables. As noted above, the data tables may be incomplete or even inaccurate in some instances, although I am striving to refine the information. The statistics thus may not be perfect, but over time and with the help of readers and some self-help, I hope to make the spreadsheet better and, hopefully, more useful. Thanks in advance for those of you who help me make this spreadsheet more accurate and complete. To download the spreadsheet in Excel 2010 format (.xlsx) in a ZIP file, click here (version as of 7/22/16) and download by clicking the download button in the upper portion of the page.